Karbonn Titanium S4, the latest handset from the company is now listed on Flipkart. The new Titanium S 4 comes with some vigorous specs at this price tag. It comes with a 4.7 inch HD Super AMOLED capacitive touch screen display. It will compete / VS with Gionee Dream D1 and Zen Ultrafone 701 HD. The Titanium S4 gains the strength from 1.2 GHz quad core processor paired with 1 GB of RAM. It has 13 megapixel primary shooter and a 2-megapixel front imager. Many of the features resembles the Titanium S7. 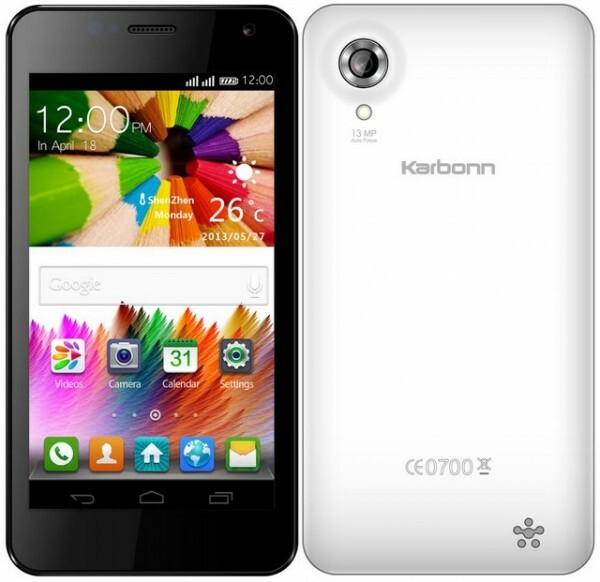 Like other Karbonn mobile it also comes with Dual SIM support. There are many phone that can compete with it , like Micromax A116 Canvas HD but the AMOLED screen type makes it apart from them. The battery of the S4 would be you despondent, if you are heavy user. It houses 1800mAh battery which should be good enough for moderate usage. The Karbonn Titanium S4 is priced at RS.15,990 ( according to flipkart listing). It is available in White and Black colors. It would be launched officially in 2nd Week of January 2014.